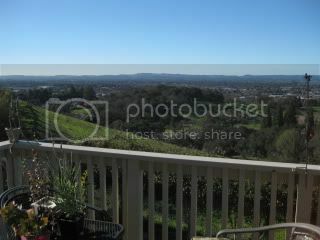 It was a beautiful sunny morning in Sonoma. 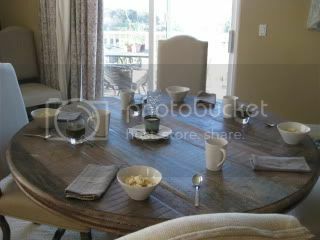 Wine country style breakfast...granola with yogurt by a local artisan maker, and gourmet coffee. The view from our friends' house balcony was gorgeous. 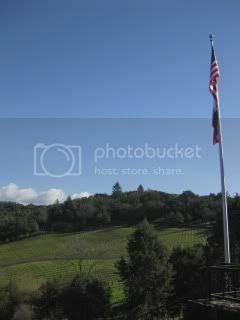 In the afternoon, we drove up and visited a couple of wineries. The first stop was Chalk Hill. 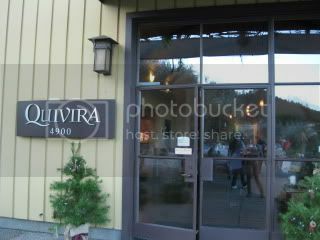 We also went to Quivira Vineyard and Winery in Dry Creek Valley. 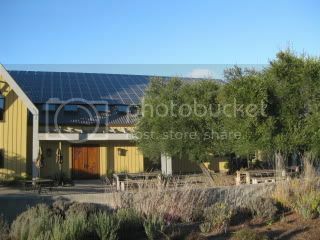 They are an artisan winery with focus on biodynamic farming. 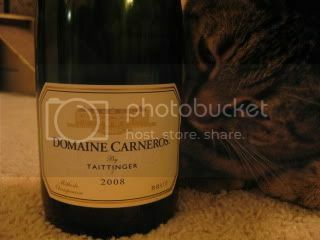 I like their Rhone varietals and blends. They make one of the best Zinfandel wines in Sonoma, too. 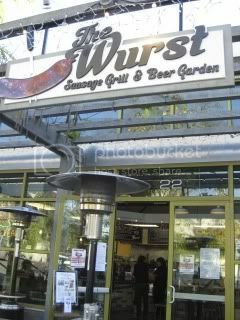 Our lunch snack was at The Wurst in Healdsburg. Our friend said that this place makes simply the best grilled sausages in town. The place is popular among local chefs also. They have a wide-variety of homemade gourmet sausages to grill to order. They have a wide selection of both tap and bottle artisan beers. 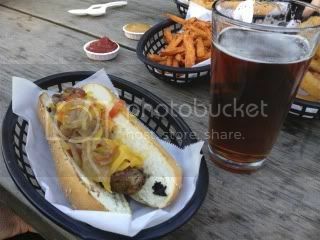 I had a hot dog with different kinds of condiments, onion rings, sweet potato fries, and local brewery IPA...totally hit my spot. 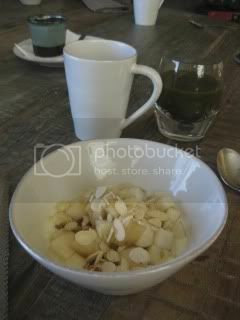 In the late afternoon we went to a local Whole Foods and picked up more groceries for the donabe dinner tonight. I love Whole Foods in Santa Rosa...they have the super fresh items, and they even ground meat to order. There is a cool beer tasting space and they even sell so many different kinds of hops for home brewing. I want this Whole Foods in LA. 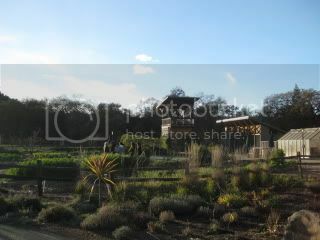 Jason and I left LA in the morning and drove all the way up to Santa Rosa in Sonoma to see our friends there. With a few break stops, it took us more than 7 hours to finally get to Santa Rosa. I was quite exhausted after the long road trip, but I bet Jason was even more exhausted because he drove the whole time. 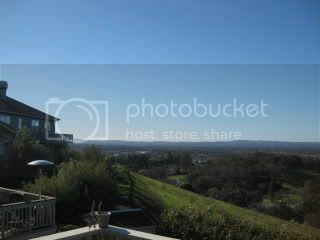 We are going to stay with our dear friends, Kyle & Katina for 3 nights in their beautiful wine country home. One of the main purposes of this trip was to do a lot of donabe cooking with Kyle for some development work for the next days. But, for the first night, Kyle made the entire dinner just for us. Some aromatics were being sautéed in donabe, while the rich lobster and kombu stock was standing by. 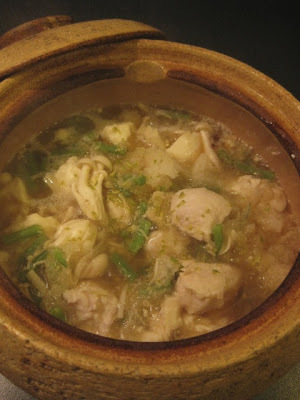 Aromatics were combined with some kimch, miso (my 2-year-aged homemade kind) and the strained stock was poured in. 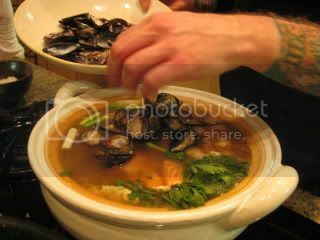 Tons of seafood - lobster, shrimp, salmon belly, clams, and mussels were added, along with tofu and vegetables. 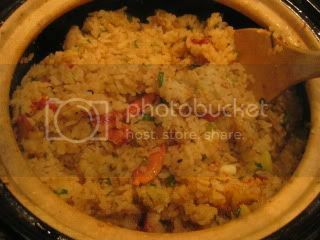 He also made decadent lobster rice with the double-lid donabe rice cooker, "Kamado-san". 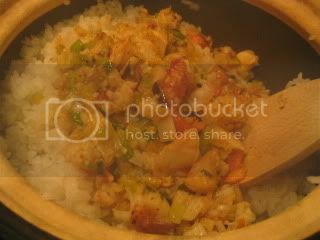 Decadent donabe seafood hot pot and donabe lobster rice. Heavenly first night dinner in Sonoma. Here's another easy donabe stew recipe by using chicken and tofu. And, this recipe is especially healthy, because I use chicken tender. Chicken tender for stew?! Some people might think that such lean meat would become too tough. 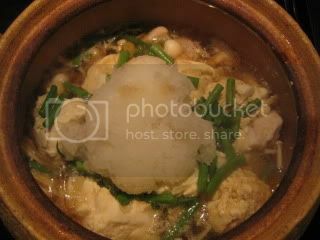 But, by marinating the meat in shio-koji for several hours, the meat not only becomes more flavorful, but also stays tender after simmering in the broth. 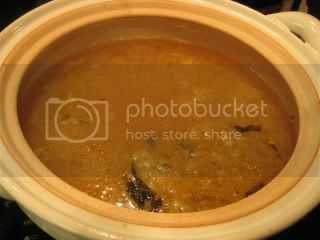 Also, my Soup & Stew Donabe, "Miso-shiru Nabe", helps achieving the rich flavor in a short time because this thick-body donabe gives the even and steady heat distribution to the ingredients. 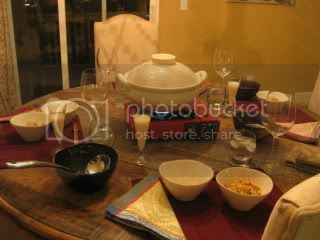 This quick stew is really tasty with layers of flavors and textures. 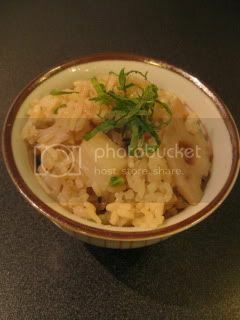 The last addition of the grated daikon really adds the special touch to this stew. 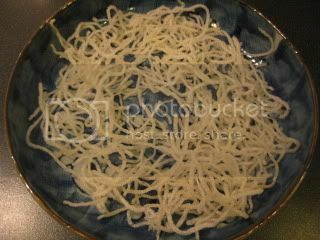 "Mizore"means sleet, because grated daikon resembles it. 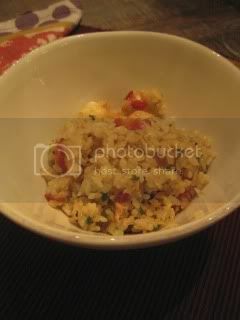 And, it adds the nice gentle texture and flavor to the dish. 1. 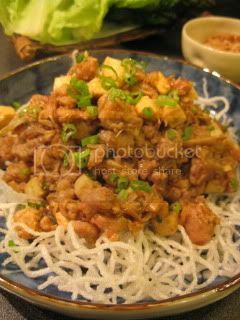 In a resealable plastic bag, combine the chicken tender and shio-koji and mix well. Tightly-seal with the air out and refrigerate for at least 3 hours to overnight. 2. 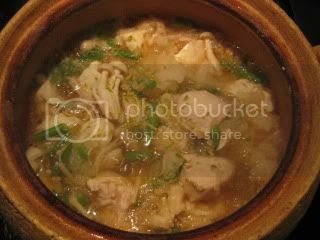 In Miso-shiru Nabe, heat the sesame oil over medium+ heat. 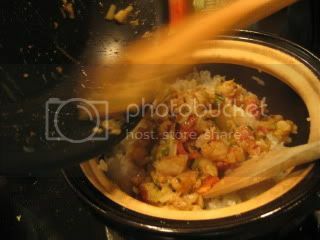 Add the ginger and sauté until fragrant (about 1 minute). 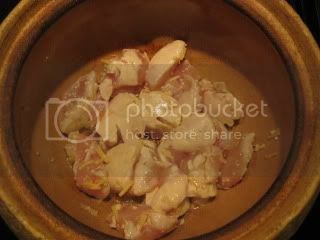 Add the shio-koji chicken and continue to sauté for a couple of minutes. 3. Add the mushrooms, silky tofu (break by spoon), haricot vert, dashi stock, sake, and mirin. 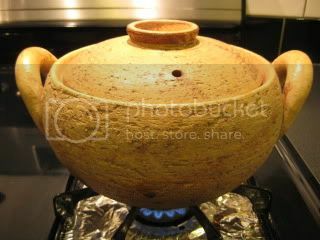 Cover and bring to a simmer. 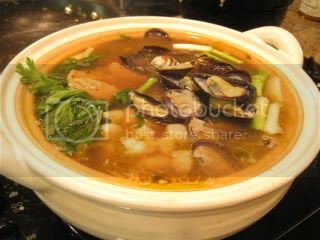 Reduce the heat to medium-low and simmer for 5 minutes or until the meat is cooked through. 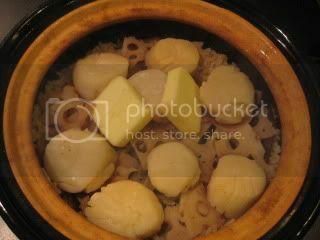 *You might think that there is not enough broth to simmer at the beginning, but it will rise as you cook in the donabe! 4. 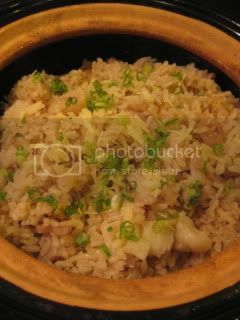 Add the soy sauce and grated daikon. Stir. 5. 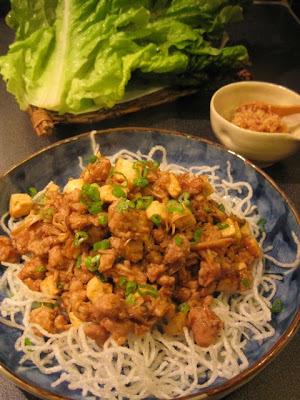 Garnish with minced yuzu rinds and serve. 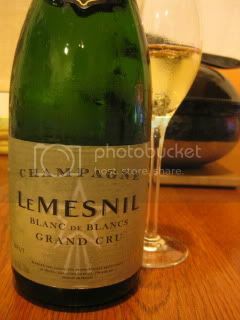 Perfect light soothing dish for winter. This is a great steamy dish for meat lovers. The flavor is so bold and the "meaty". 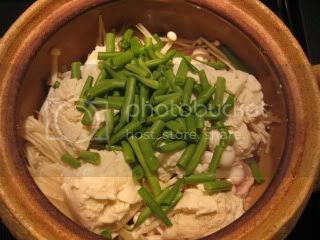 Jason says this is now one of his favorite home steamed dishes with our donabe steamer, "Mushi Nabe". 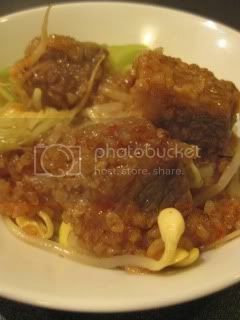 I was inspired by Chinese steamed spare-rib for this dish, so I use different kinds of Chinese ingredients, which are easy to find at local Asian grocery stores. 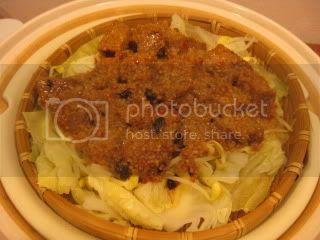 I love the hot & spicy kick from the dobanjiang (Chinese hot bean paste), but you can use less or completely omit it if you prefer less spicy version. 1. 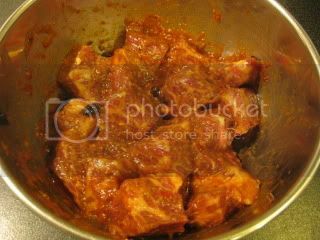 Whisk together the ingredients for the marinade in a bowl. Add the meat and mix well. 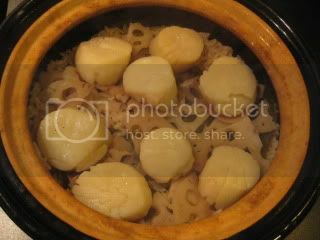 Cover and refrigerate for 30-60 minutes. Add the domyoji-ko and mix again. Set aside. 2. 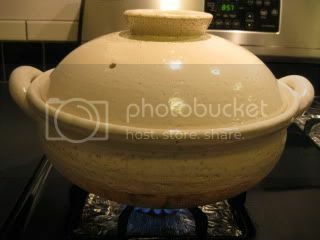 Get Mushi Nabe (donabe steamer ready). 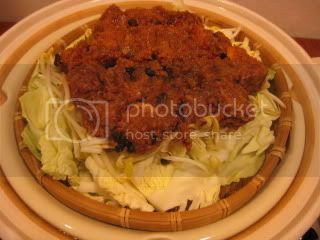 In a basket or a shallow plate which can fit the donabe, arrange the cabbage and soybean sprouts in layers. 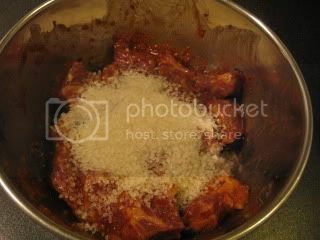 Spread the meat mixture on the top. 3. 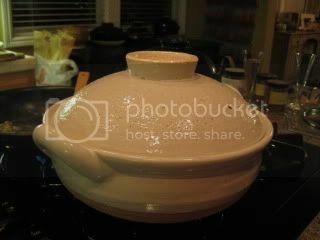 Set the basket in Mushi Nabe. 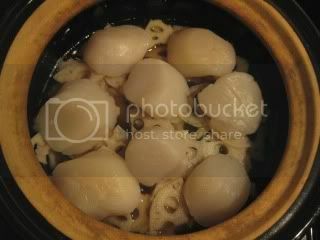 Cover and steam over medium-high heat for 10-12 minutes or until the meat is cooked through. Serve immediately. The meat was super flavorful and really great. 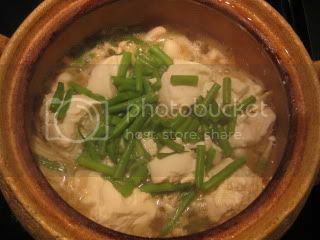 We were so excited that I even forgot to garnish the dish with some sliced scallion! 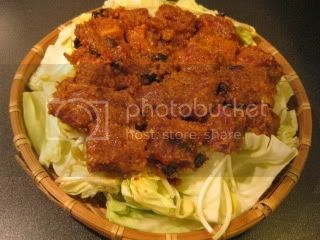 Another great thing about this dish is that it's served with a lot of vegetables, so it won't taste too heavy. Also, the cabbage soaks all the wonderful meat juice and tastes amazing. If you can't find thick cut of kalbi, you can make the dish with thinly-sliced kalbi, too. I could only get the thinly-sliced kind for yakiniku the other day, so I cut them into smaller pieces and made the same dish. It was really tender and nice, too. I had a lot of lettuce in the fridge, so I decided to make lettuce wraps. This dish makes a great appetizer. 1. 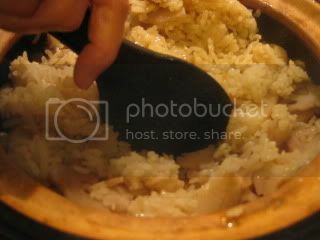 In a bowl, combine the ingredients for the filling and mix well. Cover and refrigerate for 30 minutes. 2. In a ramekin, whisk together the ingredients for the sauce. Set aside. 3. (optional) Set a deep fryer at high heat (about 400F) and add the rice noodles. They will puff up immediately. Take them out in just a few seconds. Set aside. 4. In a saute pan, heat the sesame oil and sauté the ginger and scallion for a minute over medium+ heat. Add the pork and push by a wood spatula to break the meat into small pieces as you cook. 5. 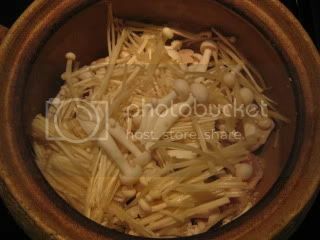 Once the meat is almost cooked through, add the well-drained tofu and enoki mushrooms. 6. 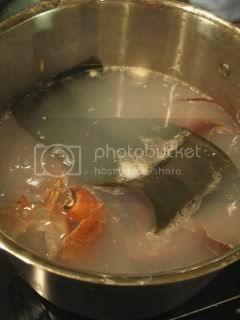 Add the sauce and stir well for additional 2-3 minutes. 7. 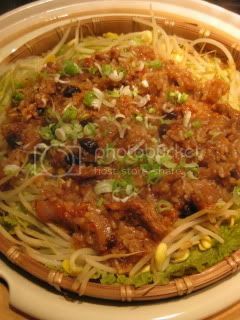 In a serving bowl, spread the fried rice noodles (optional), and make a mound with the meat on top of the rice noodles. 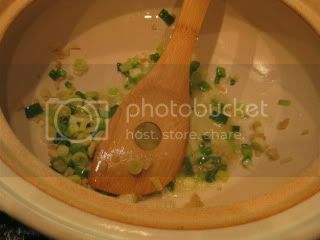 Garnish with some thinly-sliced scallion. 8. Serve immediately with lettuce leaves and condiments. This dish is so easy to make and so satisfying. We use our homemade miso for the sauce, so the flavor is really deep and complex.